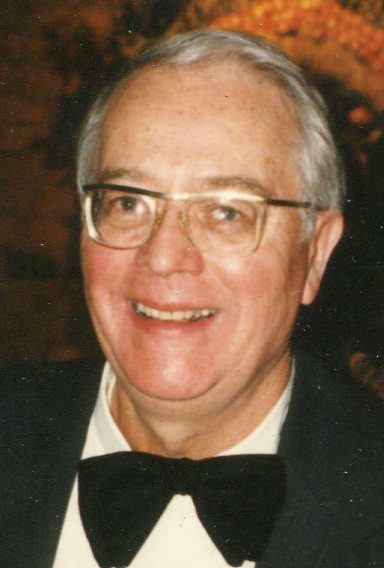 Donald Allen Rittenhouse, 85, of Rockford, IL passed away peacefully on March 23, 2019 surrounded by his family. He was born in Chicago in 1934 to Ethel and William Rittenhouse, and married his childhood sweetheart, Carole in 1954. After his service in the U.S. Army, Al started his early career in Industrial Engineering at Motorola. He soon earned his master’s degree in Engineering at Lake Forest College. In 1973 the family moved to Rockford, where he retired from Warner Lambert. Al had an amazing mind for how things work and a sweet disposition. He was a proud veteran and engineer who loved a challenging project. Al and Carole, married for 65 years, had been together since 2nd grade. Al, aka, ‘Daddy Dolphin’ was a fixture at the family pool and Halloween parties. There is likely a groove in the city streets trailing to his favorite restaurants, Josef’s Steakhouse and Lino’s. Al is survived by his wife, Carole; his daughters, Cindy (Mark Fatheree) Rittenhouse, Cherri (Josef Schwaiger) Rittenhouse, Christyn Rittenhouse; grandchildren, Sofia Schwaiger, James Crawford-Rolt; sister, Merry Mitsdarfer; and nieces Gina and Maria. Visitation will be held on Friday, April 5, 2019 from 5:00 pm -7:00 pm and Saturday, April 6, 2019 from 11:00 a.m. – 12:00 noon at Honquest Family Funeral Home with Crematory – Mulford Chapel, 4311 N Mulford Rd, Loves Park with a celebration of Al’s life at 12:00 noon. The family is deeply grateful for the many who helped during his fight with cancer, particularly Yunuen and Rosa.